Your group can gain work experience on a volunteer Care project in Bolivia whatever your ages, abilities or levels of experience; whether you’re all on a gap year - or even a 'gap month' - from further education, or are coming to us during a holiday from work, a career break, or during your retirement. All we ask is that you have enthusiasm and commitment towards whichever project you work on. Due to Bolivia being one of the least developed and poorest countries in Latin America, care centres lack the funds, staff and structure needed to provide more than a basic level of care. This is why Projects Abroad group volunteers have such a vital role to play. You can read more detailed information about the aims of the project in our Bolivia Care Management Plan. Projects Abroad is based in several day care centres in the Cochabamba area of Bolivia. These placements care for people of all ages with a variety of different needs, from toddlers to elderly people in a care home. Many of our Care placements work with children in need of support, care and stimulation due to mental and physical disabilities. Many of our Care placements have very unique needs and if your group have any specific skills or talents then it is really important to let us know. We have also recently started working with a centre that helps young girls that have been abused get on the road to recovery through extra-curricular activities. So if you or any of your group is a good dancer, yoga fanatic or have other artistic talents then please let us know. If possible then please keep us informed as to both your individual and group preferences so that we can try matching either all of you or certain individuals to suitable placements. Please note that your involvement in specific care activities can be dependent on your level of Spanish, so please inform our local staff so they can find the most worthwhile and suitable placement for you as an individual or as a group. We also have a community football and social care project in Bolivia which combines coaching football with a variety of care work. The Projects Abroad team in Bolivia organise regular workshops for care volunteers. 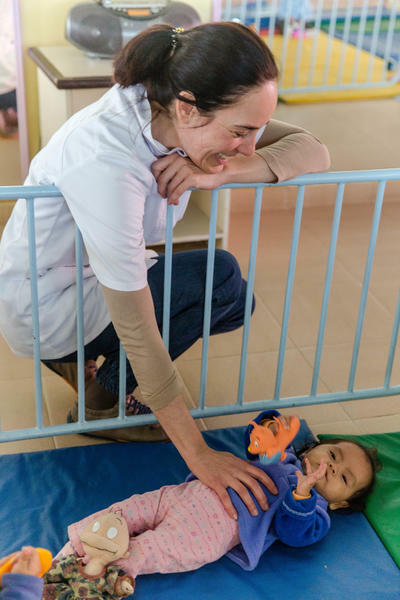 The workshops will provide your group with a valuable insight into the care system in Bolivia and the background of the placement where you’re working. You will also receive advice and suggestions regarding how to achieve the specific goals we aim to achieve at each placement. By working together you can share ideas, introduce more structure, come up with educational activities and monitor the children and young adults that you are working with. Our staff in Bolivia can assist you with any materials you may need, and a member of staff at your placement will act as your general supervisor and be available for help and advice. 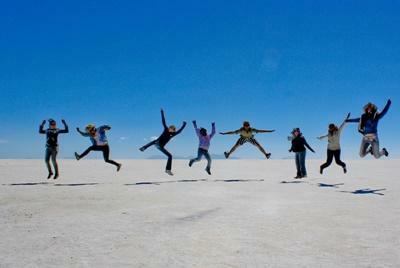 In whichever volunteer care project in Bolivia your group finds itself, you need to be ready for a challenge. Many of the children are not used to having a routine and look forward to having planned activities, educational games, and help with their homework and daily chores. At some placements there are children who have psychological or physical health problems and who need a great deal of special attention and help with their day to day activities. The age of the children and the centre that your group is working in will determine the main areas of work that each of you will work in. You may be feeding, bathing and generally looking after babies and toddlers, or you may be helping with homework, music, art and sports - really anything you are interested in. We encourage volunteers to try new activities and expand the range of games and ideas the children will encounter. Working closely with individual children and identifying their areas of strength is a very important part of your placement. On many placements, you’ll also need to promote awareness and teach life skills like the importance of hygiene, self-discipline and good communication. Some children don't go to school so general educational activities - in Spanish - are also welcomed. Let us know beforehand if you or anyone else in your group can help in this area. Group work is invaluable at some of the care homes as they need help with building and fixing up gardens areas, buildings and playgrounds as well as livening up certain rooms with a fresh coat of paint. Your group can join a Care project in Bolivia for two or three weeks if you don't have time to join us for four weeks or more. This project has been selected by our local colleagues as being suitable for short term volunteering for both the host community and the volunteers. Although you will gain a valuable cultural insight and work intensely within the local community please be aware that you may not be able to make the same impact as someone volunteering for a longer period. Volunteers joining the project for just two weeks will be placed in one of our partner care centres. If you have qualifications or experience in this field then we can make use of your skills.